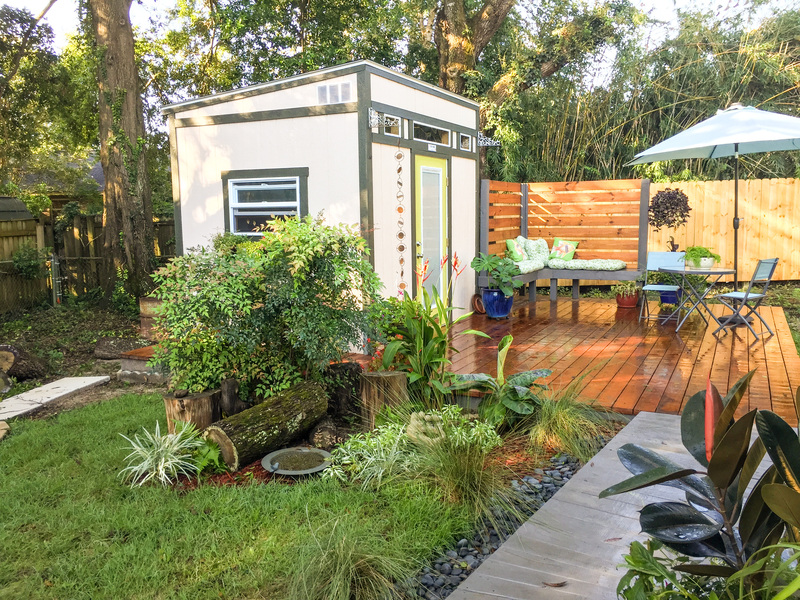 It’s hard to imagine a better place for this studio than in Renee D’s perfectly landscaped Pensacola, FL backyard. As a master gardener, she had a plan for her landscaping but needed to find the perfect building for her pottery and art studio. 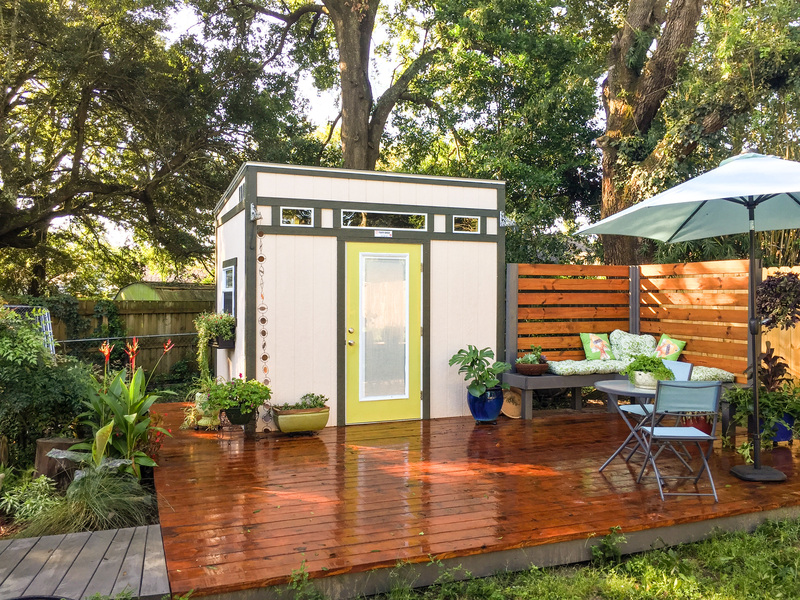 Renee came to our Pensacola team with an idea and walked away with her dream shed. She did her research before coming to Tuff Shed. “I looked into so many companies but no one offered a modern building that would match the contemporary style of my house,” says Renee. After perusing Pinterest, she found quite a few lean-to style buildings that fit her vision and she brought them to our team. The Pensacola Tuff Shed team worked side by side with Renee to design a shed that would fit right into her backyard. The materials used for her new building were important to Renee. 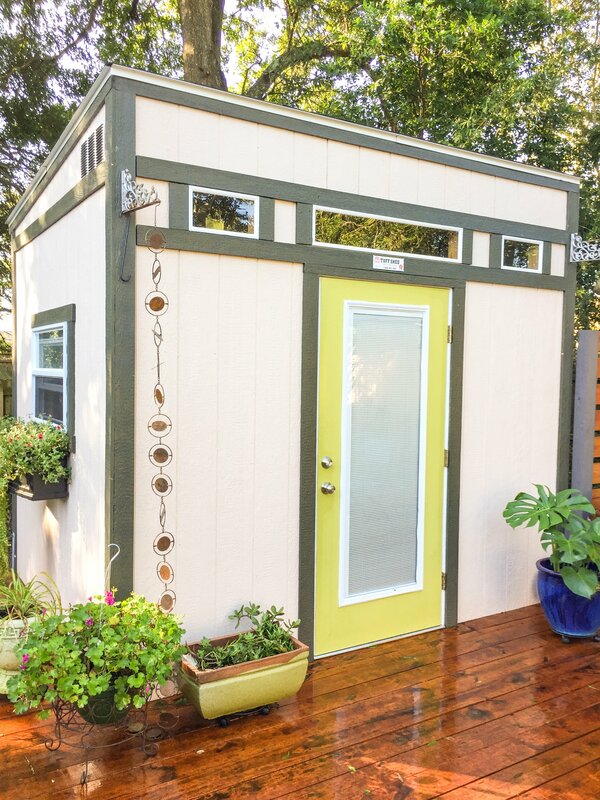 “I knew the building would be a place where I would entertain friends, so I wanted something sturdy that felt like an extension of my home.” Her new 8×10 Premier Lean-To features plenty of custom options, including a residential style door and upgraded wall heights to make an ideal studio. In order to help the new studio blend in with her backyard, Renee installed a deck to be used as an entertaining space in front of the building. With the addition of landscaping and patio furniture, her backyard has become a true creative retreat.